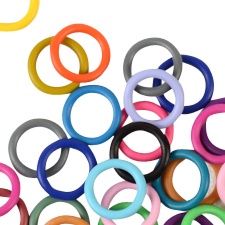 Acting as the perfect bead spacers for any beading project, our selection of rubber o-rings fit a variety of gauges for several styles of round or flat leather jewelry. 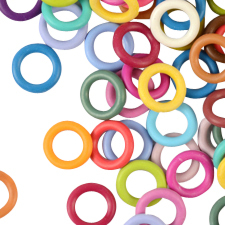 Add a bit of color to your round leather bracelet with our rubber spacers and separate out all of those different beads in style! 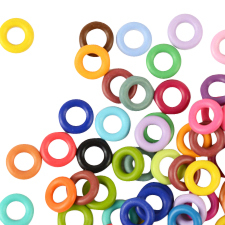 Each size fits snug over varying gauges of leather cord and make great decorative elements. 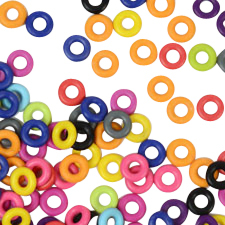 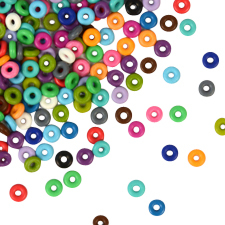 If you need ideas as to how to use these rubber bead spacers, hop on over to our ideas and inspirations section to see how some other DIY beaded jewelry designers have made use of these colorful and functional rubber o-rings.